The Lamborghini is an Italian premium sports car manufacturer. Lamborghini is known for fastest cars since 1963. The company is currently owned by Volkswagen Group through its subsidiary, Audi. The brand now redefines the SUV segment with its current offering Lamborghini Urus. 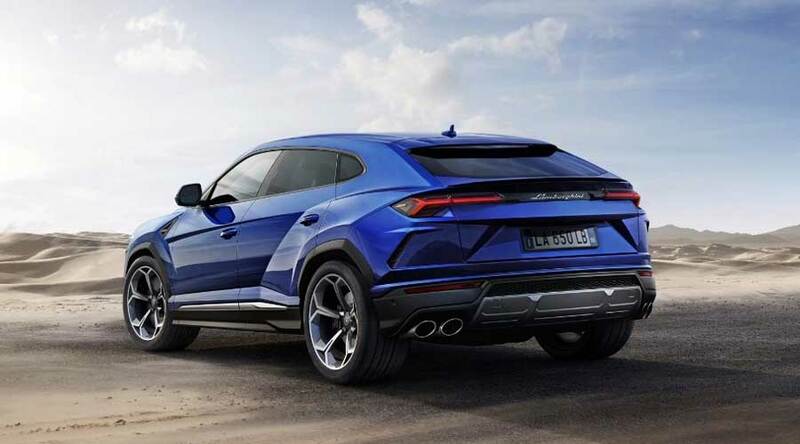 The production version of the Urus was unveiled in 2017. However, Lamborghini unveiled the Urus concept in 2012 at Beijing Auto show. The company will put Lamborghini Urus into the market in 2018. The dynamic design with outstanding proportions can be traced back to Lamborghini DNA. The flying coupe line with distinctive silhouette represents the super sports nature of the car. The driving dynamics, design and performance are few of the most noteworthy features of the SUV. So, the overall design conveys the message of strength and safety with traditional Lamborghini characters. The design of the Urus is unique in its class. Some of the design inspiration comes from the LM002. Specifically, the power dome showing the engine and Hexagonal lines mark an outstanding presence. The cross lines on the rear door and front bonnet with the peak at the center resemble the traditional Lamborghini shapes. 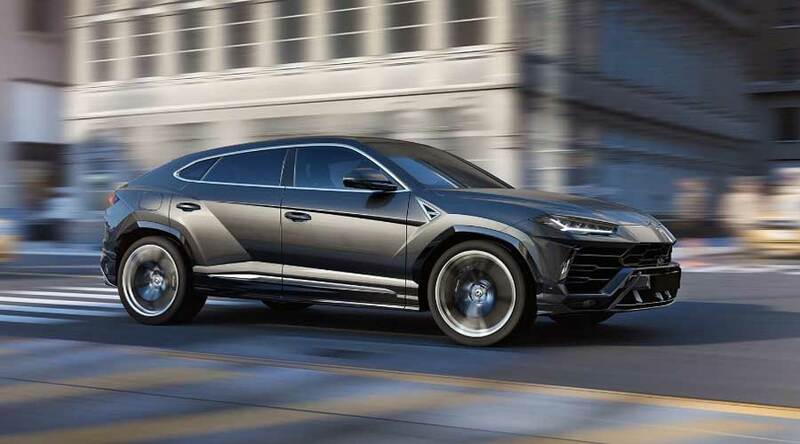 The Urus appears masculine in nature. At the same time, it feels safe and secure. The SUV is elegant, sporty and an off-roader at the same time. The cutting-edge streamlined design with extreme proportions makes this car a real Lambo. Furthermore, the interiors showcase the cutting age Italian craftsmanship. The whole interiors are designed around the driver. Hence, it effectively caters to the driver's needs with comfort and convenience for a joyful ride. The unique feature of the cabin is its seating capacity. The Urus is surprisingly five seater and we loved it. In addition, the three TFT monitors help the driver immediately. And, there is absolutely no need to fumble around. Each TFT has unique functionality. One for instruments, another one for infotainment and last one for a comfort function which includes handwriting recognition and virtual keyboard. The state-of-the-art interiors are customizable with lots of options. It features the largest range including natural leatherwood, aluminum or carbon finish and many more. The Urus comes with state of the art driving dynamics. The car gets its power from the V8 Bi-turbo engine; churning out massive 650 HP of power. It has the best power to weight ratio. The 4-wheel drive system with 4 wheel steering makes maneuver a breeze. The intelligent Torque vectoring technique helps to take corners without losing speed. The latest safety system including ADAS system ensures comfort and safety at the same time. The three packages in ADAS (Advanced Driver Assistance system) are Urban Road, Full ADAS, and Highway. Each individual package comes with individual preferences. Furthermore, ANIMA is the main brain or an electronic component of the car that controls vehicle. ANIMAstands for NIMA (Adaptive Network Intelligent Management. The selector helps to decide terrain type and adapts itself according to terrain for cutting age performance. It ensures safe and comfortable driving on almost any terrain. In ANIMA, there are three on-road modes (STRADA, SPORT and CORSA) and three off-road modes (NEVE, TERRA, and SABBIA). In addition, in EGO mode you can customize vehicle dynamics like traction, steering, and suspension. The Bang & Olufsen 1700 watts, 21 speaker sound system is at your fingertips to get to your favorite mood as and when you wish. In conclusion, Lamborghini has set a milestone in Premium Sports Utility Segment with Urus. Currently, the SUV is the most favorite segment of the consumers and we have no doubt that most people will love Urus.